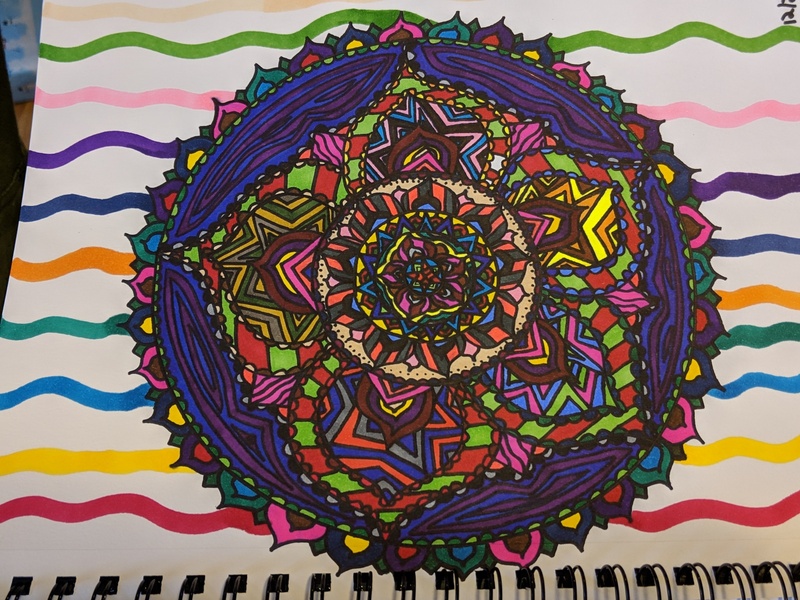 Mandala Of The Day, By Teischan (12) — Boxing Day, 2018. She started this on Christmas day using all the new Sharpies she got. Finished it today. She drew this on a spiral-bound drawing pad. So, she hasn’t, as yet, removed the page to han it on a wall. That is good because we are rapidly running out of wall space.